Why is it important to brush your tongue? - Sapphire Dental Centre! You probably know that brushing your teeth is a really important part of keeping your mouth healthy. But did you know that brushing your tongue is also important? Brushing your tongue (or using a tongue scraping) not only helps prevent bad breath, but it also helps to get rid of plaque and bacteria that can be transferred from your tongue to your teeth. The rough surface of your tongue can be an ideal place for odor causing bacteria to build up. By brushing your tongue, this bacteria is removed helping your breath to stay nice and fresh. Reduced risk of gum disease. Periodontal disease (gum disease) occurs when the gums become infected and result in deep pockets between the teeth and gums. It can lead to red, swollen and bleeding gums and in severe cases can even lead to tooth loss. 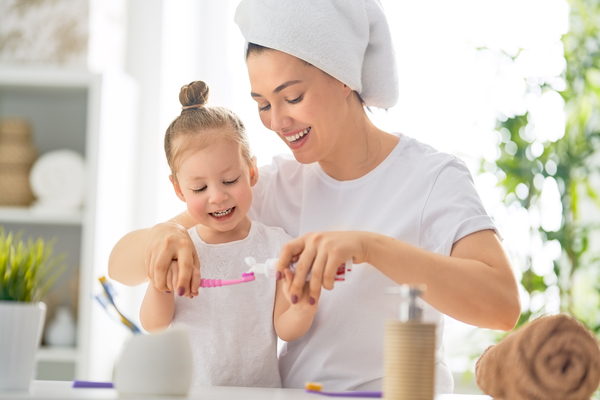 When bacteria is removed from the tongue through regular brushing, there is less bacteria that can be transferred through the saliva to the gums which in turn reduces the chances of gum disease. Believe it or not, a build-up of plaque on your tongue can dull your sense of taste. So if you really want to be able to savour and enjoy your food, you should be brushing your tongue! Oral thrush is a condition which is caused by high levels of yeast in the mouth and results in white patches on the tongue. Typically to resolve oral thrush, your dentist or doctor will prescribe an antifungal medication. If however you want to protect yourself against this disease, one of the best things you can do is to brush your tongue on a regular basis. Did you know that your tongue plays an important role in your immune system by trapping bacteria and other toxins? When you regularly remove these from your tongue with brushing or gentle scraping, it keeps them from being absorbed by the body. Do you have other questions about how to keep your mouth healthy? Contact the team at Sapphire Dental today!